Nano Mist Perm, Chemical Treatment That Cares! You are here:Home » Product Reviews » Nano Mist Perm, Chemical Treatment That Cares! If you’re looking for a perm that’s less damaging to your hair, then Nano Mist Perm is for you! My previous perms were either using the ceramic or digital techniques, so when #Hair Story introduced me to a newer technology, I was more than eager to try. #NanoMistPerm is a technique that uses the least amount of chemicals to protect your hair from damaging elements, yet it’s still able to create the best curl that you want. As I’ve chemical treated hair & it’s rather dry, this technique is best suited for people like me who just want the natural looking perm but don't want to damage my hair. Nano Mist Perm is able to create the most natural & soft curl style that I like, & at the same time reduce the damage inflicted by #perm solutions. By heating & adding more pressure to water vapours compared to traditional methods, it creates super-heating water vapour that can infiltrate into the smallest cuticles. Nano-Mist is attracting lots of attention worldwide because the mist can enter the micro areas between your hair cuticles without broadening the spaces. The 1st step in the perm is using the #AriminoSherpa mist & milk to apply onto the hair. Then, the hair is treated to Nano mist for about 5 – 10 mins. 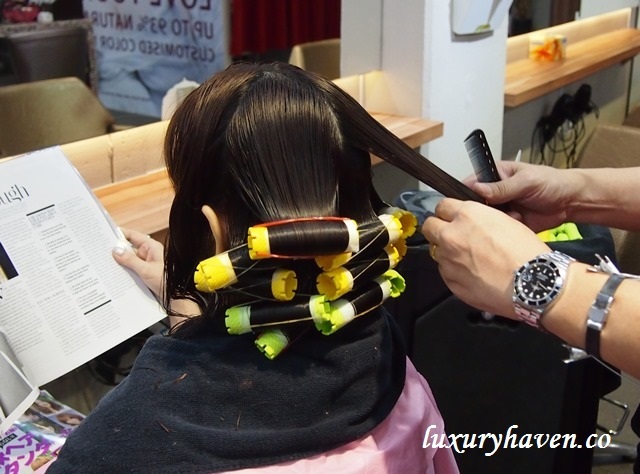 The next step after rinsing the hair is the application of perm lotion after winding the rods. Repeat the use of Nano mist for another 10 mins. Apply heat for 10 mins for bouncier curls, & then rinse. Apply buffer oil & steam hair for 20 mins. Apply neutralizer. Remove perm rods & rinse. #NanoMist is created by a group of ultra-structural water drops, which includes water molecules penetrating into your hair & skin to bring out the maximum moisture. This keeps your hair healthy, & also treat your atopic dermatitis etc. The most vital factor is because Nano Mist relies on the power of natural water, not chemicals, which is what salons rave about. So what do you think of my natural curls? Thank you Hair Story, for the healthy & lustre Nano Mist Perm! Total Time Spent: Approx 3 hrs. 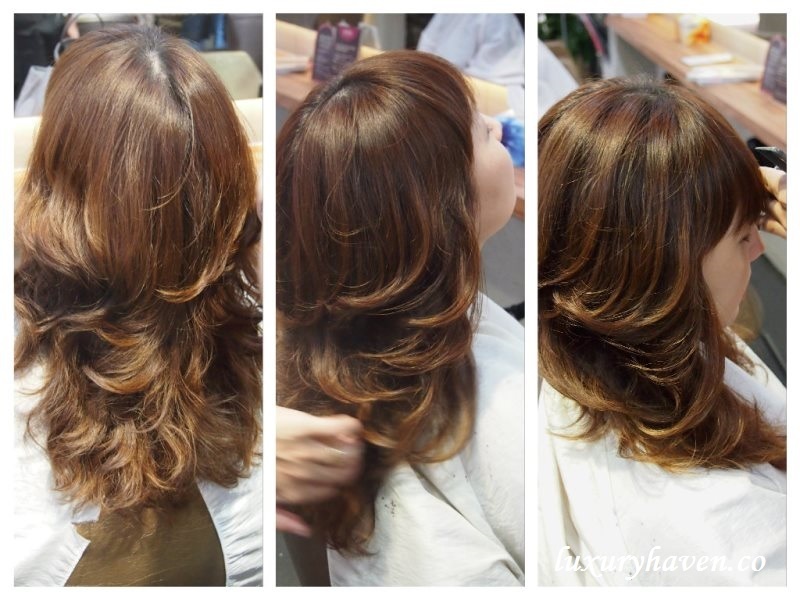 Hair Story, The Korean Concept Salon At 313 Somerset! Kathy, I'm glad you like it too! 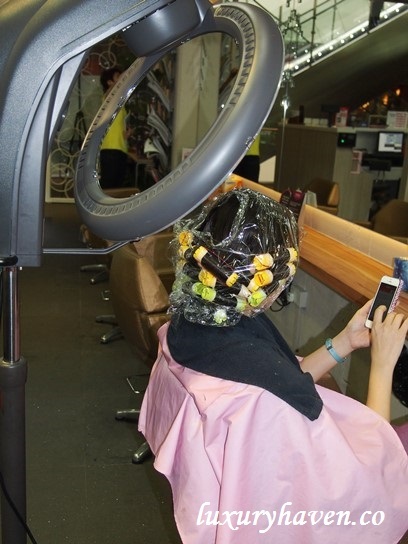 Reana, you can always find out about Nano Perm in your home town. New technology indeed! 1st time I heard of it. Interesting! 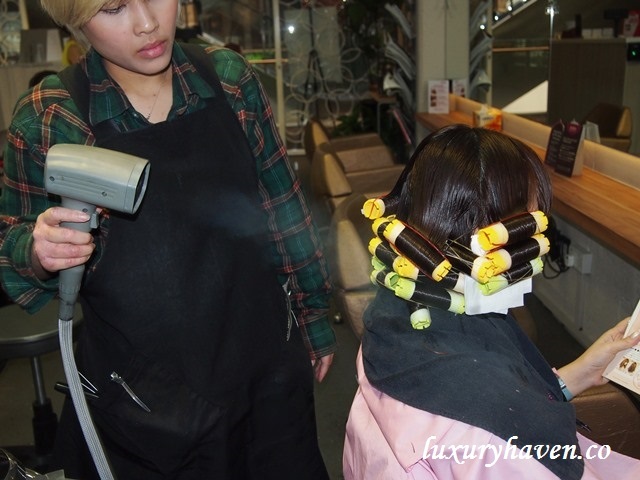 DS, guess you can try something different the next time you want a nice perm. FC, hahaha! More & more alien-looking devices popping up everywhere. Gorgeous hair, Shirley! Nice to know they've come up with this kind of perm -- the chemical ones are so damaging (in my opinion) and your hair looks healthy from start to finish! Kim, I wonder what kind of technology you've got over at your end. Thks, sweetie! Will check out the salon the next time I'm in orchard! Thks for walking us through the perm! Babel, have fun & thks for reading! YL, thks & have a wonderful week! Your hair looks beautiful, Shirley! I've tried the ceramic and digital perm before and found them to be quite damaging. Would love to give this a go some day. Trishie, we love gorgeous locks, don't we? I'd quite a bad digital perm last time & had to trim off quite often :< I like this technique! I like your soft curls. They are very nice! Zoe, thks sweetie! Happy baking! Sharon, thks for being so sweet! Pepper, thks & hope you'll get to try this technology next time! Your hair looks fabulous! I am impressed with their new technology that could be safe to hair. TM, thks! I love the new nano perm! DC, that's so true! Hahaha! Thank Goodness I don't have any serious problem that needs that......... Have a good week! Hi, may I know how long have ur curls lasted for? 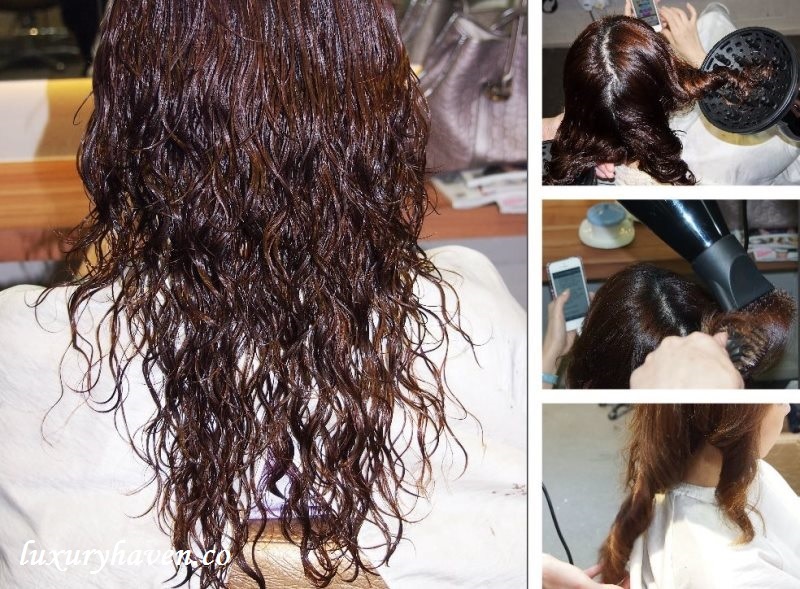 Adeline, Nano Perm is a very light perm & should last about 6 mths. That being said, I decided to change my hair style again about a week ago. Had a digital perm just for the ends & rebonded the top. You can check out my review at Naoki Yoshihara by Ash at Liang Court (ナオキ ヨシハラ バイ アッシュ).